✔ Lift & support animals & objects. 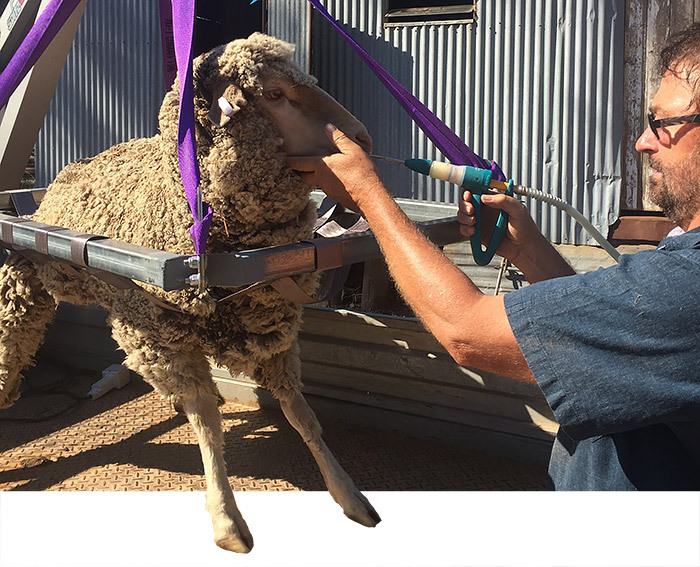 Ewe Lift is designed to lift and support Sheep, Calves, Alpaca’s and other animals, to 160kgs, safely onto the back of utilities and trucks with the assistance of a small crane, Spitzlift is ideal. 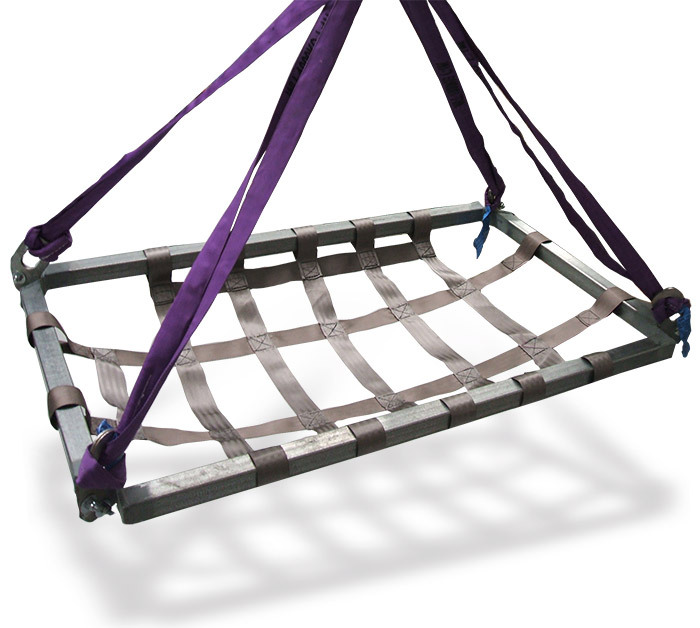 Designed by farmers for farmers the award winning Ewe Lift takes the strain out of everyday back breaking work and improves productivity and efficiency. Not limited to stock the Ewe Lift can be used for lifting bags of fertiliser, firewood, pool salt, drums of oil and fuel, even dead animals. 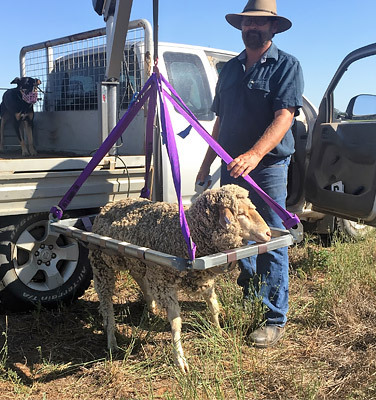 The innovative design webbing allows sheep to be lifted standing up, laying down, and supporting injured livestock, can also be utilised for drenching and other activities. In fact it's suitable for anyone that needs to handle variety of animals safely and efficiently. All dimensions are in cm and kg. We want you to love our Ewe Lift and as much as we do. 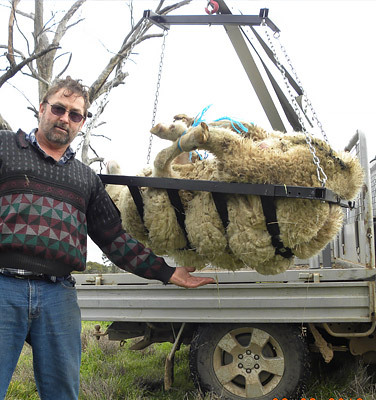 Just another reason why more Aussie farmers are using Ewe Lift.